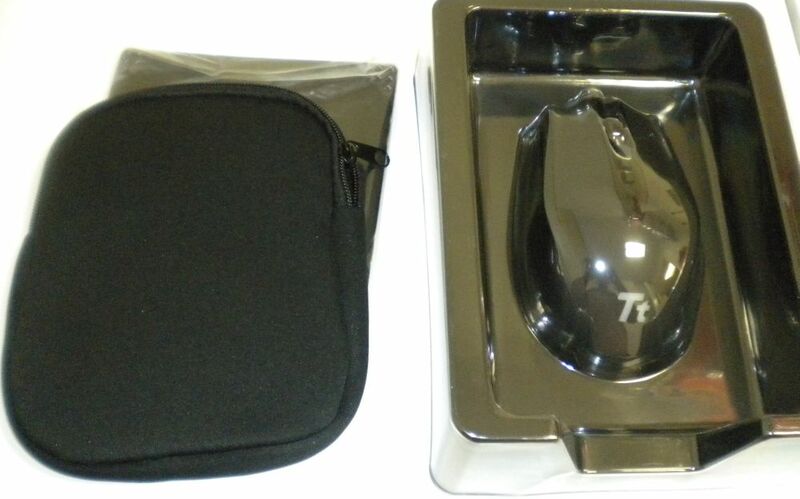 The Mouse has an included carrying case as well. 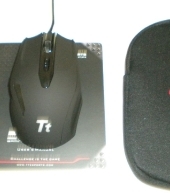 Instead of the felt like material of the keyboard case we have a neoprene case that provides more protection for the mouse’s advanced optics. 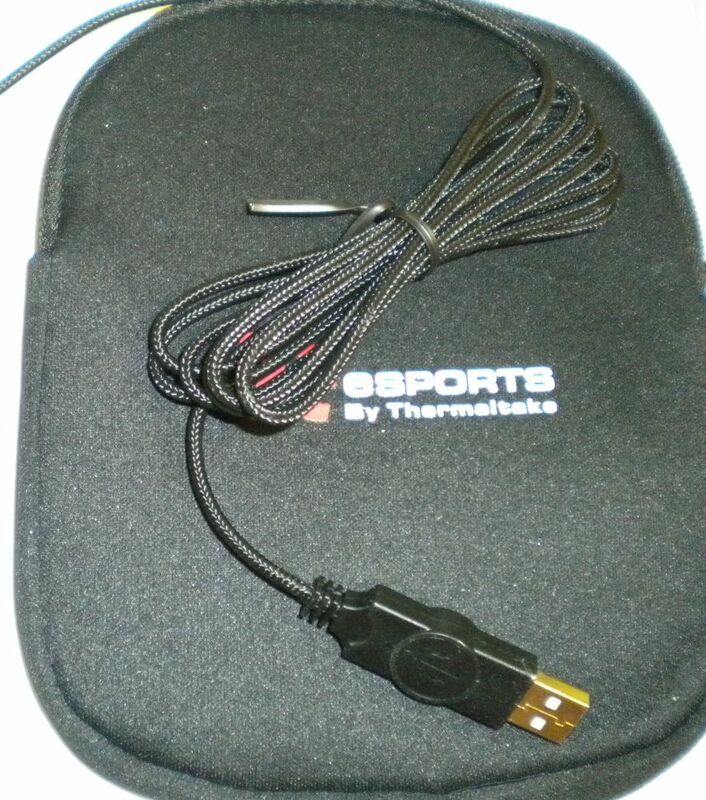 The USB cable while not modular, still has braided insulation as well as a gold plated connector. The mouse has buttons directly under the scroll wheel to control the DPI real time independently of the computer. Here you can see the mouse’s adjustable weight cartridge, allowing you to fine tune to your liking. The software for the keyboard is very easy to use. After the install, I was able to program the ten “T Keys” with a variety of uses, including launching applications, standard functions such as copy and paste, and of course you can create elaborate in game macros. These macros not only have gaming applications in mind, anyone using applications such as Photoshop, Illustrator, will inform you that many tasks are remarkably repetitive. Programming macros is very simple, and allows complete customization. You can program as complex a macro as necessary specifying times between keystroke executions. 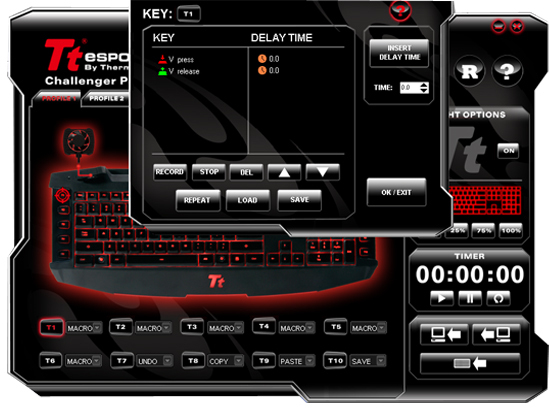 The keyboard allows for four separate key mapping profiles which can be switched using the software or the keyboard itself. 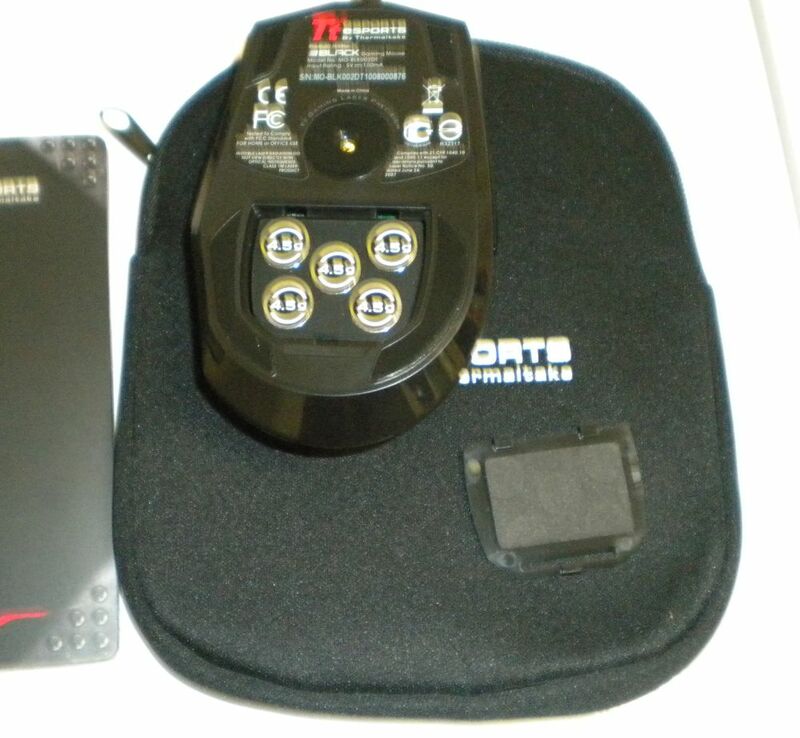 The keyboard also has 64Kb of onboard memory so the profiles can be migrated from computer to computer. 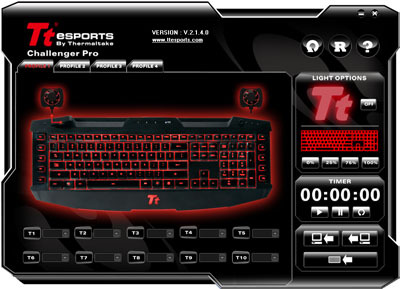 The Challenger Pro Keyboard backlighting can also be controlled from the software, as an interesting point. The “Tt” logo at the bottom cannot be turned off from the keyboard it has to be disabled from the software, and as far as I can see will turn on at every reboot.